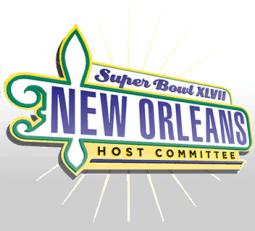 Weeks before the kickoff for Super Bowl XLVI even takes place on NBC, CBS said it has already sold a few spots in next year’s Super Bowl. When the Super Bowl comes ’round in the first quarter of every year, all eyes typically go to the game at hand. And yet, there’s often a lot going on behind the scenes that has to do with events of the future. In the fall of 2010, seeing robust ad-sales activity from Fox for its telecast of Super Bowl XLV, NBC began working the phones for Super XLVI and quietly touted a record-setting price tag of $3.5 million for a Super Bowl ad package. The strategy appears to have worked as sales continued throughout last year. NBC has said it secured an average $3.5 million from its sponsors for the 2012 Super Bowl, though some marketers no doubt paid less. In one instance, an advertiser in this year’s game agreed to a $4 million price tag, according to Seth Winter, senior-VP, sales and marketing, NBC Sports Group. “I’m still not quite sure that we have pushed the boundaries of what a Super Bowl ad is worth,” Mr. Winter said in early January. Indeed, CBS will seek a price increase over this year’s sales, said Jo Ann Ross, president-network sales for the CBS Television Network. “We’re not rolling back pricing in the Super Bowl,” she said. Lending some wind to the executives’ outlook is an intense desire for the event by auto advertisers. NBC’s Super Bowl telecast could include as many as 10 major car advertisers, who in aggregate have purchased at least 10 minutes of ad time — nearly one-third of the 35 minutes of national commercial time in the game. Automaker demand for the Super Bowl continues to be “strong and healthy” moving forward, said John Bogusz, exec-VP sports sales and marketing, CBS Television Network. Considering that certain marketers, including Anheuser-Busch InBev and PepsiCo, appear in the Super Bowl annually, and that automakers may buy up as much as 25% to 30% of the available ad time, a network could notch significant inventory sales before serious pitching begins. CBS is also anticipating the broadcast of Super Bowl L — the 50th anniversary — in 2016. Ms. Ross declined comment on what maneuvers may be in the offing for that occasion.